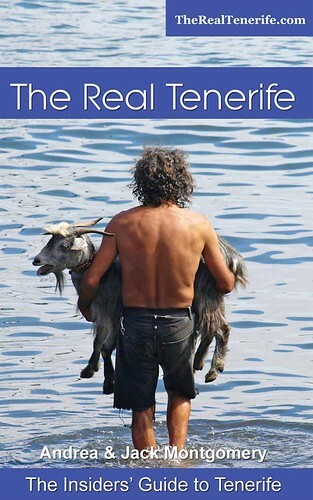 Despite reading yet again that you can’t trust the weather forecast for Tenerife, the Spanish Met Office got it spot on. The first half of the week was mainly sunny whereas the second half of the week saw an army of weather alerts bring wind, cold temperatures, rain, wild seas and snow… a lot of snow. 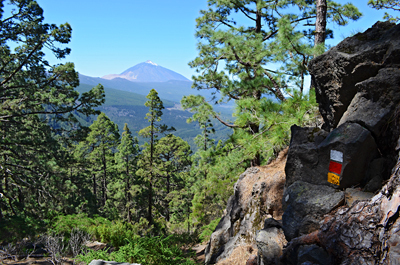 So much that there have been videos on facebook of the Guardia Civil skiing in Teide National Park. Weather on Tenerife never fails to amaze. We experienced conditions on two islands – one minute in warm sunshine, the next monsoon rain and black clouds; these ever changing conditions might go some way to explaining some conflicting reports from parts of the island. As the weather front affected all of the Canary Islands it seemed unlikely anywhere escaped it. Friends who are staying in the south of the island hit us with a ‘what have you done with the weather this week?’ when we spoke to them yesterday, going on to talk of notes being pushed under the door of their hotel room warning them to batten down the hatches. In the Orotava Valley we were consigned to the house on Friday and Saturday as Biblical amounts of rain fell. It was a spectacular end to the week. 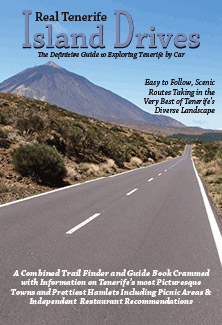 And at the end of it all El Teide looks absolutely stunning. It should be a much better week on Tenerife with everywhere experiencing weather patterns which are more or less the same. It should be mainly sunny during the first half of the week although Friday could be cloudy in a few places. The sun will be back for the weekend but there will also be a good chance of rain everywhere. Temperatures start the week on the warm side but drop a couple of degrees to for the seconmd half of the week when it should be nice and warm in the sun but a bit on the cool side in the shade. 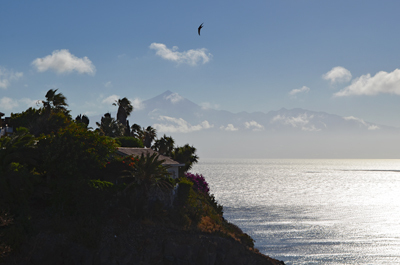 Weather in South Tenerife – It should be a mainly sunny week with only some light cloud midweek. Cloud could roll in from Friday bringing a good chance of rain on Saturday and Sunday (75/80%). Temperatures start the week around 21C but drop from Wednesday to hover between 17/18C in the shade for the rest of the week. 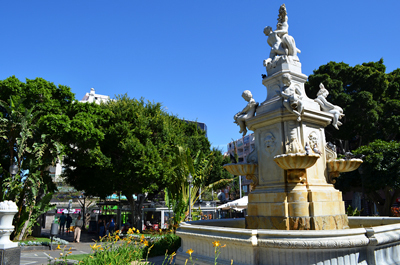 Weather in North Tenerife – Not too different from the south with a mainly sunny first half of the week and some cloudy spells between Wednesday and Friday which could be particularly cloudy. The weekend should see a mix of sun and cloud and there will also be a chance of rain – 20/25% on Thursday and Friday rising to an almost certain 85% over the weekend. Temperatures start the week around 20C but drop from Wednesday to hover between 15/16C in the shade for the rest of the week. 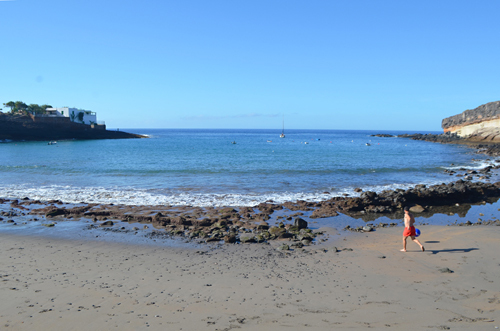 Weather in East Tenerife – The forecast for Santa Cruz and the east is much the same as everywhere else except Thursday and Friday could be very cloudy with little chance of sunshine. There will be a 25/30% chance of rain on those days, rising to 85% over the weekend. Temperatures mirror those of the north. Weather in South West Tenerife – It will be more or less the same as the south although temperatures might be a couple of degrees cooler during the week. On the plus side, the chance of rain is slightly lower – 60/80% over the weekend. 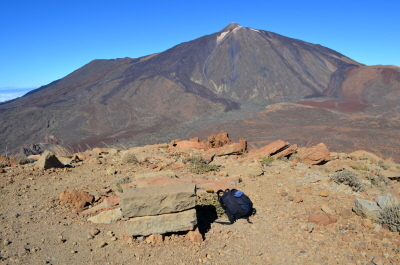 Weather in the Mount Teide Crater – It should be a mix of sun and cloud for most of the week in Teide National Park with a chance of showers over the weekend. 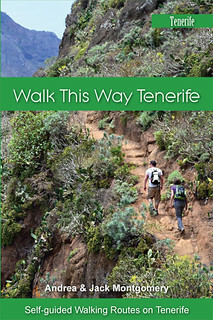 On the summit of Mount Teide it could be sunny all week with only some cloud on Thursday and Friday. 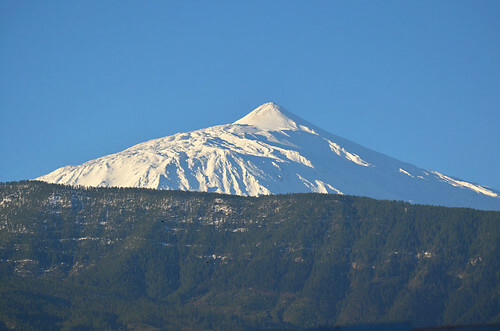 Temperatures should hover between 6 and 8C in the crater and -1C and 2C on the peak of Mount Teide.